When you experience a mis-step or "twist your ankle" there could be more that gets injured than the ankle. An injury to the midfoot ligaments and bones is called a LisFranc injury and this condition is very underdiagnosed and therefore undertreated. This injury is the result of over turning of your foot in an inward direction. 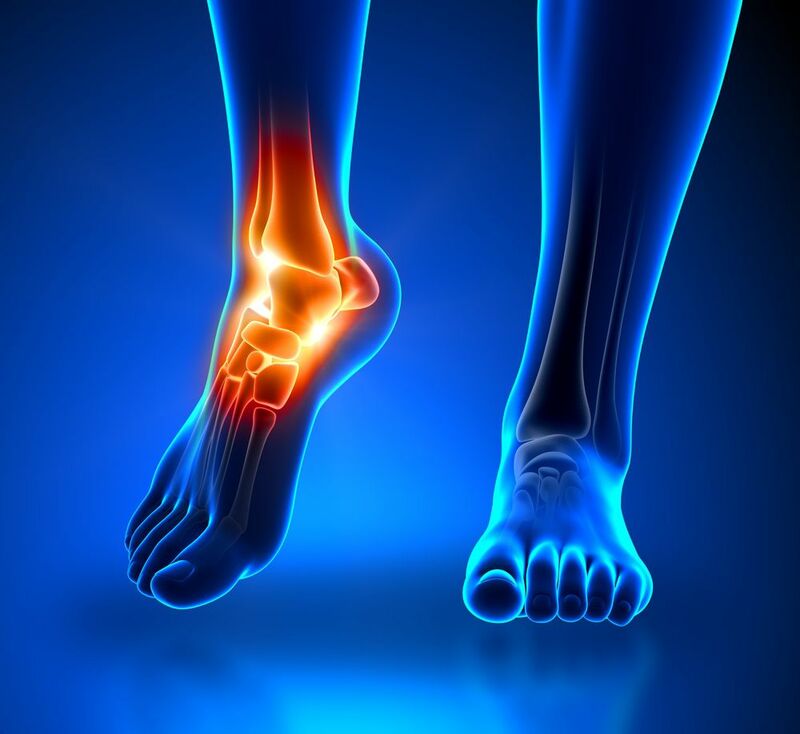 While this does overstretch the ankle ligaments often, if you experience pain across the top of the arch of the foot, it is likely that you have at least sprained the "LisFranc ligament" and possibly fractured the bones in this area. This ligament is between the 1st and 2nd metatarsals, which are the long bones in the middle of the foot that connect to the big toe and 2nd toe. When this type of injury is not recognized, there is often an expedited arthritic process that begins and the pain will likely linger for months. Treatment for this injury depends on the severity. In the worst case scenario all of the metatarsal bones may fracture through across the middle of the foot and this often requires surgical correction, followed by immobilization and rehabilitation. If the bones are not fractured, but your foot doctor identifies a sprain of the ligament, it is best to undergo a period of immobilization in a boot or cast followed by rehabilitation. In those unfortunate cases where a LisFranc injury occurs but is not recognized, pain months or even years later can still be treated, though full recovery is not expected. Physical therapy and corrective inserts for your shoes can help alleviate the symptoms and reduce excessive motion through this painful area to decrease irritation. If you twist your ankle or foot, come to the foot experts at Prairie Path Foot & Ankle Clinic. Especially in cases of injuries, we strive to accommodate you within 24-48 hours to ensure as quick of a recovery as possible!